The vines grow on a limestone rich in fossils and especially oysters. Long ago an ocean covered the Burgundy and Chablis. 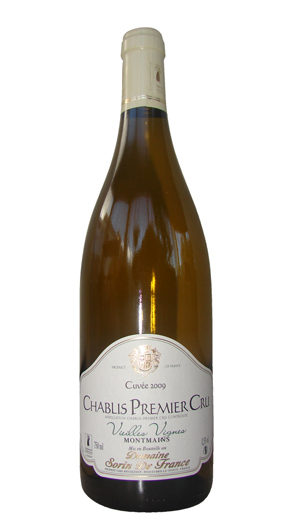 Chablis wine is crisp and fruity, very dry, with refreshing acidity. Chablis wine is universally known for its minerality. The nose, the wine has aromas of citrus and green apple. In the mouth we find the lemon and apple but vanilla and floral. TASTING : The full vivacity and rich Chablis 1er Cru enables him to offer foie gras a great dry wine. Its strong minerality offset the bitterness of this is noble. Of course, the subtlety of complex aromas and its great persistence on the finish predestine the agreements of class. Our Wine Chablis 1er Montmains thought is never presented to a lack of competition stocks.